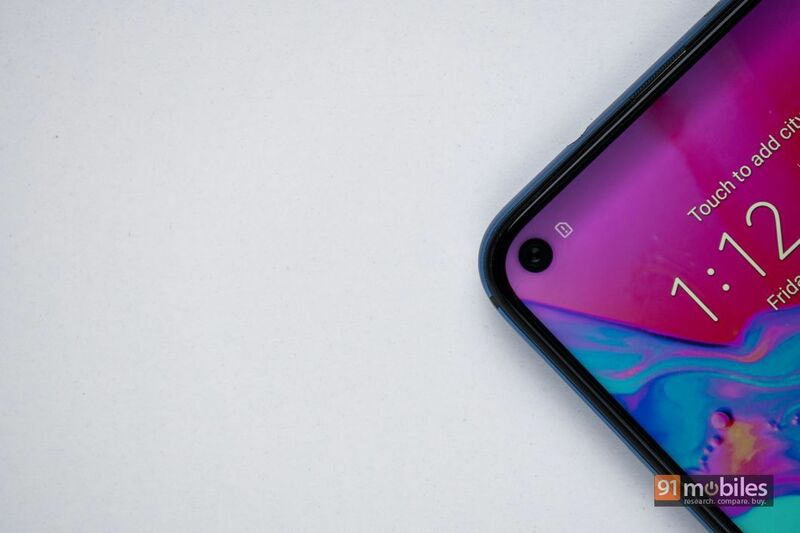 The Honor View 20 (first impression) has been launched in India by the company as the first smartphone in the country with a punch-hole display and a 48-megapixel primary rear camera. 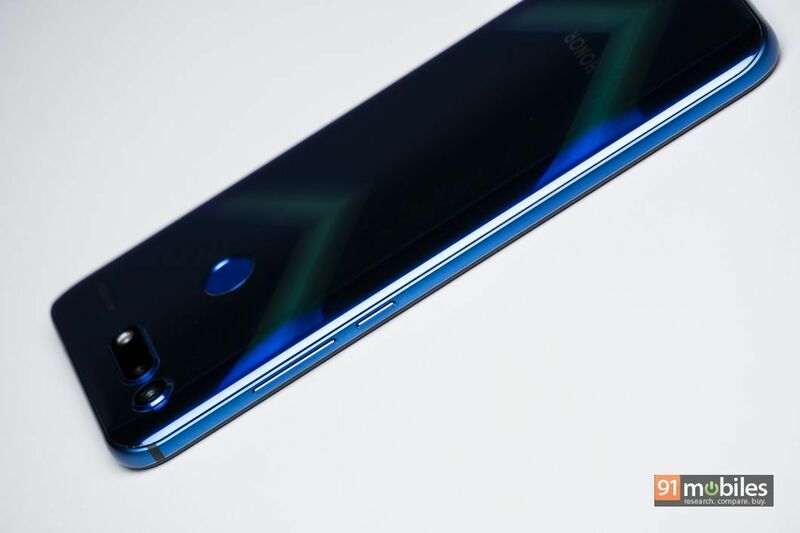 The global version of the V20, the Honor View 20 flagship offering comes with a near edge-to-edge display with a piercing up top that houses a selfie camera. 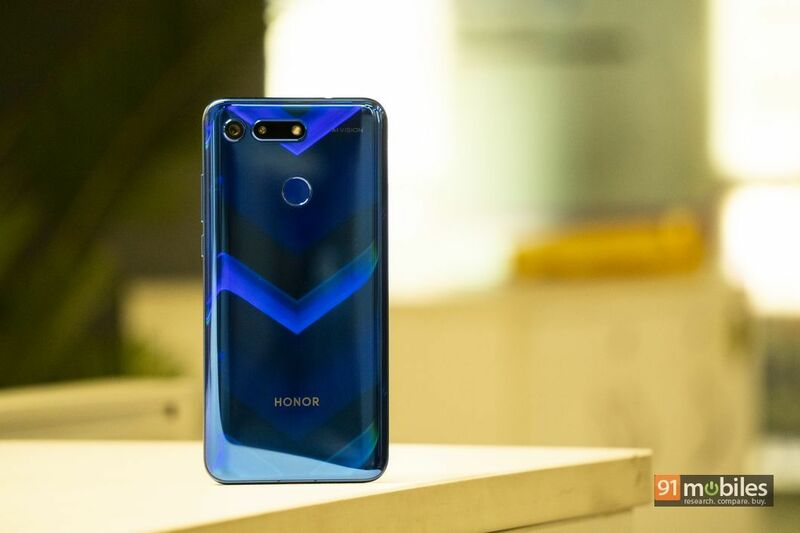 The new Honor phone is powered by premium HiSilicon Kirin chipset, latest OS, and an impressive primary camera sensor. Alongside the handset, the Huawei sub-brand Honor has released the Honor Watch Magic and the Honor Band 4 Running Edition in the Indian market. 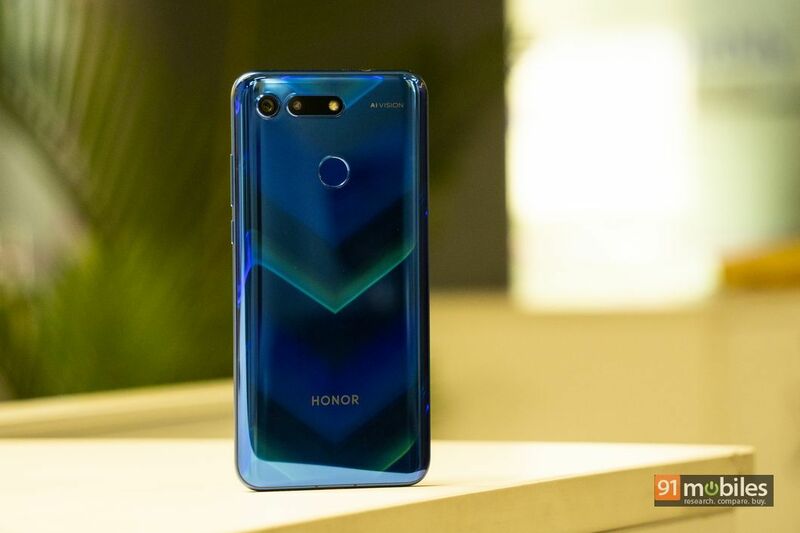 The Honor View 20 price in India has been set as Rs 37,999 for the entry-level variant with 6GB + 128GB configuration. Its 8GB + 256GB variant will cost Rs 45,999 in India. The handset will be available for sale in the country starting midnight on January 30th via Amazon.in and Honor’s official website; offline sales for the handset will begin in February. Buyers can choose between Midnight Black and Sapphire Blue colour options. 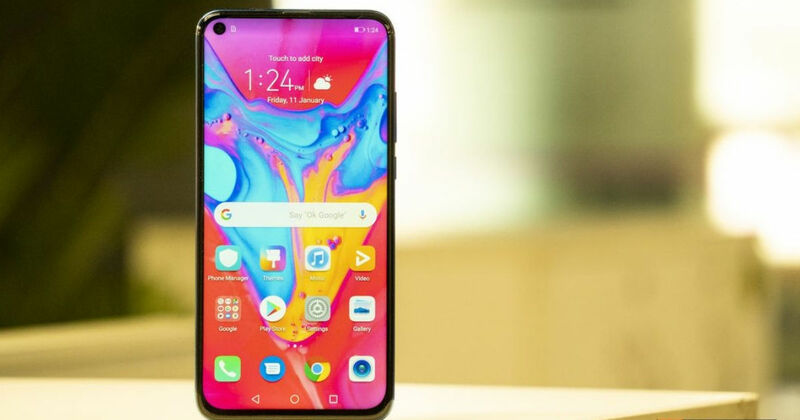 The specifications of Honor View 20 include a 6.4-inch IPS punch hole display with full-HD+ resolution and 91.82 percent screen-to-body ratio. At its core lies a high-end 7nm Kirin 980 chipset paired with dual NPU, GPU Turbo Technology 2.0, and liquid cooling. The phone also houses a Hi1103GPS chip that is touted to improve mobile navigation using AI dual-frequency GPS. The phonemaker ships the handset with up to 8GB of RAM and up to 256GB built-in storage that is expandable using a microSD card. The rear panel of the View 20 sports a unique Aurora Nanotexture design at the back that exhibits a V-shape when the light hits at an angle. 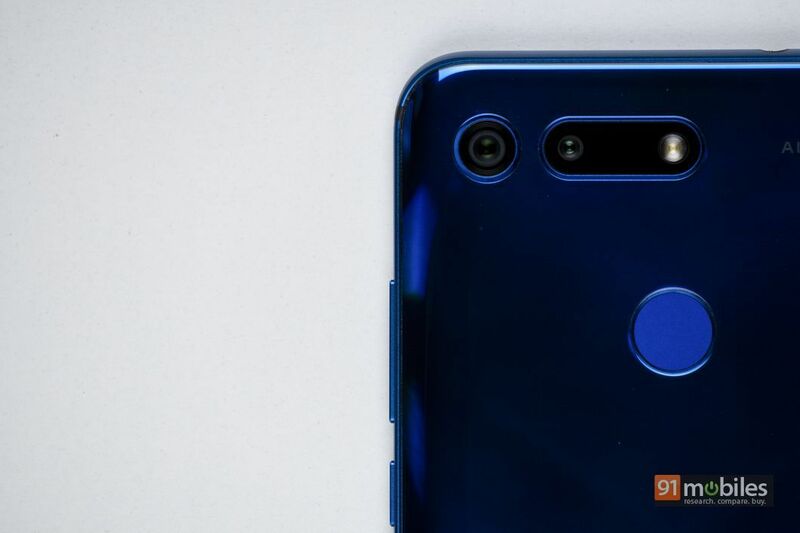 For photography, the Android 9 Pie-powered View 20 sports dual rear cameras. The setup comprises a 48-megapixel Sony IMX 586 main sensor and a 3D ToF lens on the rear. The 3D lens can be used for AR, 3D motion-controlled gaming, AI calorie counting, and 3D shaping, while the main sensor is backed by various modes such as portrait, night, slow-mo, and time-lapse. For selfies, the phone gets a 25-megapixel shooter embedded in the display piercing up front. Both the cameras are mated with Honor’s AI and machine learning algorithms to further enhance the results. 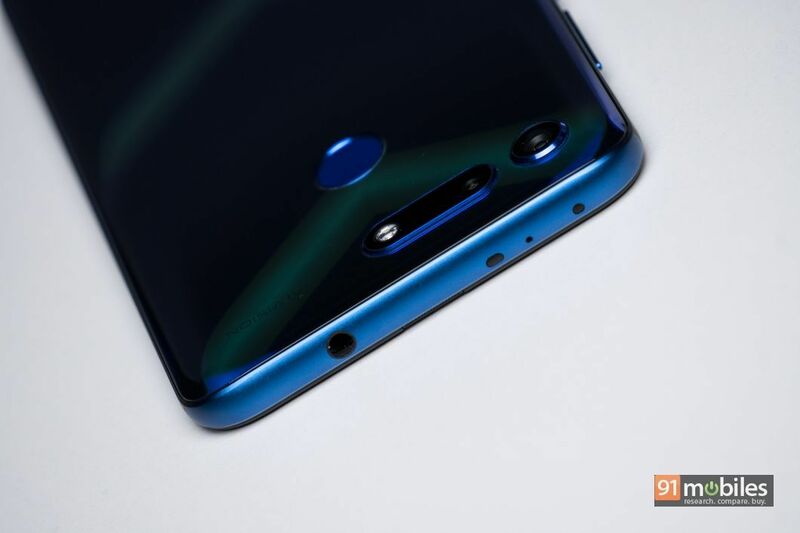 The Honor View 20 boots the custom Magic UI 2.0 atop Android Pie. Powering the handset is a 4,000mAh battery with 4.5V/ 5A fast charging support. For security, the phone is accompanied by both a rear-mounted fingerprint sensor and face unlock feature. 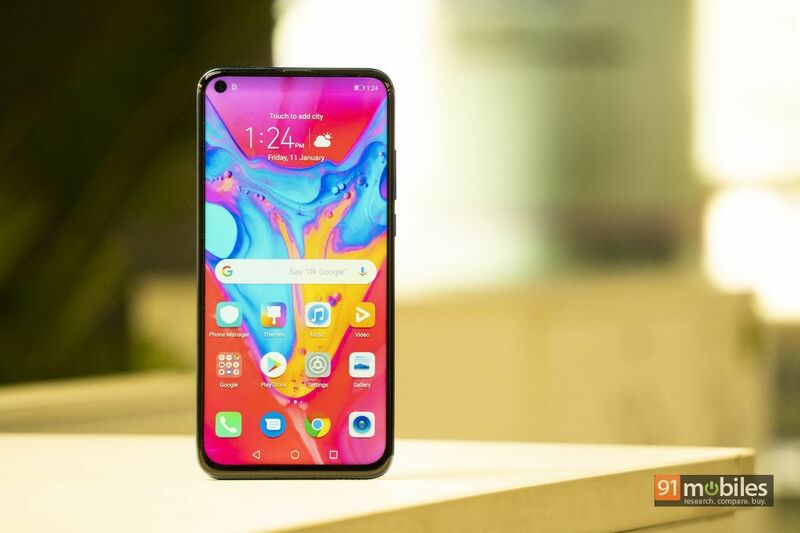 In terms of connectivity, the handset offers 4G LTE, triple antenna Wi-Fi with AI integration, Bluetooth, USB Type C, 3.5mm headphone jack, IR Blaster, and NFC.